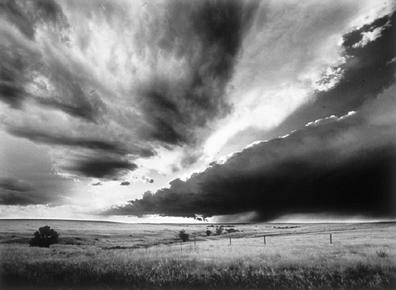 Larry Ferguson is one of the most collected and published fine art photographers in the Midwest. I have long been aware of the artist and his work, yet it was only witinh the last couple years he became a subject for this writer. I suspect I will be writing more about him in the years to come. This article for The Reader (www.thereader.com) appeared in conjunction with an exhibition he had at Creighton University. 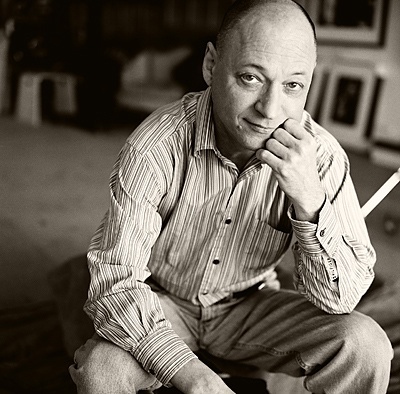 The black and white works in the show were drawn from various series he has done over the years depictiing the views afforded by rooms he stayed in and various touchstone places he’s visited in his many travels. Like many photographers I’ve met over the years, he maintains a very cool studio space. Photographer Larry Ferguson’s lush black and white imagery displays a mastery of technique and composition. But it’s not so much the work’s subject or execution as the evocative subtext bound up in it that is most arresting. His new exhibition at Creighton University’s Lied Art Gallery, The View From My Room, is drawn from pictures he’s made of scenes outside the many rooms he’s inhabited over 30 years. The rooms, located in Nebraska, other parts of the U.S. and the far corners of the globe, offer a road map of sorts for the Omaha artist’s journey through life and craft. Aside from a few landscape and cityscape images, nothing dramatic or sumptuous is revealed, but rather the prosaic, mundane fixtures and rhythms of life as it proceeds around us. That’s the point. This work is the first of several ongoing series he’s photographed since the late ‘70s to be organized into an exhibition. Besides views from his rooms, these series variously focus on “skyscapes, treescapes, grain elevators, nudes, private moments and all the great loves I’ve had in my life,” he said. “All are very long term, special projects that eventually will see the light of day.” Selections for these series are made from his archive of 250,000 negatives at his 17th and Vinton Streets studio. He hopes the work provokes viewers to contemplate its underlying themes. “Rarely do people ever talk about what’s underneath it and in fact behind it,” he said. On one level the photographs, all shot in wide angle on tripod — nothing’s hand-held — offer a visual chronicle of his haunts and journeys, near and far. But it as much the interior as the exterior journey and landscape he considers in Room. Therefore, each image “is imbued” with meaning, as in the almost obligatory view from the farmhouse in Maxwell, Neb. he grew up in. It looks out onto a distant wind break of trees. The larger world beyond that horizon is where he dreamed to go, he said. This vision and yearning take on added meaning in the context of the show’s many images from his far flung travels — evidence he’s fulfilled his dream. He spent many a summer with his feisty, spry grandmother, Frances Lawhead, at her Silvergate, Mont. cabin, which overlooks a snow field. The view from the cabin bedroom he slept in resonates with the warm embrace of hearth and home inside and the wonder of nature outside. Fragments of a Lincoln, Neb. neighborhood are viewed through lacy curtains his then-girl friend Sally Donovan put up after she inherited the house from his good friend, photographer John Spence. The living room window becomes a nostalgic frame of reference for the observations, conversations and meals shared there. With few exceptions his work is the antithesis of any deliberate, preconceived, picturesque style. “I’m not here to make pretty pictures, ever,” he said. He admits he only embraced this come-what-may philosophy after some false starts. He’d go somewhere anticipating a spectacular view or vista, only to be disappointed when it wasn’t all that and then he wouldn’t shoot anything. Whatever the scene holds it evokes linkages-associations to his life and work. Viewed in this light, something as blase as a dirt hill can be a rich vein of narrative. “It’s nothing, yet it’s everything,” he said. What compels him to make a picture in any given spot, at any given time is intuitive. It’s how he came to spend so much time in Guanajuato, Mexico, the capital city of the state of Guanajuato. He went there as part of a months-long, 10,000 mile trek he made in 1984 through Mexican jungles and mountains to photograph archaeological digs. Once he stumbled upon that city’s treasures and oddities, he couldn’t tear himself away. Images he made of one of his finds there, the home of artist Diego Rivera, are included in Room. The happy accidents that result — compelling patterns of light and shadow, pleasing forms, symbolic shapes, complex compositions — are rooted in preparation. I realize there are bigger name authors in the crime fiction genre, but I find it hard to believe there’s a better writer in the bunch than Omaha’s own Sean Doolittle, who has mastered the form in a string of books that catapult you along without sacrificing depth. The following story for The Reader (www.thereader.com) is about Doolittle’s novel Safer and this blog contains an earlier story I did about his novel The Cleanup. I heartily recommend these and anything by the author. It’s been a couple years since I’ve read anything by or written anything about Doolittle, and so I have a feeling there’s a new Doolittle story I need to catch up to as a reader and a writer, which means you should expect a new Doolittle post sometime this year. Sean Doolittle lives a life of crime. In his head. The Omaha crime novelist (Rain Dogs, The Cleanup) commits imaginary transgressions to the page that explore the consequences of deceit, greed and other deadly sins of omission and commission. His new work, Safer, is billed by publisher Delacorte Press as “a novel of suspense.” Like the best crime fiction it transcends genre, in this case studying social patterns gone awry and primal emotions under duress. 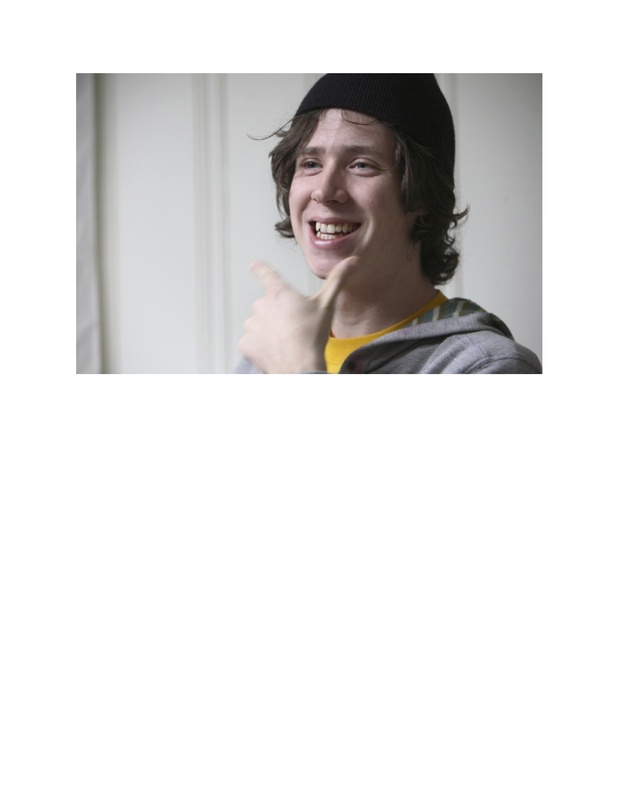 Paul, the smart alleck English Lit prof protagonist, is suspected of an offense he didn’t commit. While no saint — his judgment’s not always sound — he’s no killer either. The suspense hinges on his desperate attempts to clear his name. The closer he nears the truth, the more leading citizens are implicated in a conspiracy. He may not survive the telling. After a brief set-up Doolittle starts the book with Paul being jailed. The author then alternates past-present passages with Paul describing what led to the charges being filed and his frantic, against-all-odds search for justice. The approach grabs and holds us but only came to Doolittle much struggle. Then it came to him. Finding his way into the story meant plunking Paul into the soup earlier than envisioned. It works, serving as the knot whose unraveling reveals the underlying mystery. As Doolittle exposes layer after layer we see the seemingly idyllic setting Paul and wife Sarah occupy in their new Midwest home has a dark side. Despite a break-in, the couple’s suburban cul-de-sac residence appears safe due to the ever vigilant neighborhood patrols and monitoring done by an ex-cop neighbor, Roger. Only Paul discovers Roger’s benevolent facade and keen interest in keeping the block a closely-watched, hyper-guarded, tight-knit community masks something more than the tragedies that took his son and wife there. Something sinister. As the outsider, nonjoiner Paul questions Roger’s manipulation of his neighbors. Roger sees himself as their protector. He plays on their sympathies and weaknesses to maintain control. Paul sees it as creepy, intrusive. Doolittle said the structure “underscores” the theme of people distorting information and perceptions to their own ends. As readers we learn, along with Paul, what’s behind Roger’s avuncular front, why he’s so security-conscious and how far he’s prepared to go to prevent anyone from outing him. Roger’s a microcosm for those who use extreme measures in the name of security. Draw what analogies you will with certain geopolitical events. Roger’s warped POV justifies his actions. “That’s what ultimately it always comes down to — it’s within your own mind what you think is appropriate to protect yourself or your family or your neighborhood,” said Doolittle. The introduction of a wild card like Paul upsets Roger’s carefully arranged order. As Paul notices things are awry, the utopia’s threatened. In Roger’s eyes Paul’s a problem needing removal. A dark obsession acted out requires elaborate subterfuge to conceal the misdeed. Doolittle said he’s fascinated by how “your actions stay with you the rest of your life. What is Faulkner’s line? — ‘The past isn’t dead, it isn’t even past.’ Something I’ve sort of inadvertently come back to in more than one book,” said Doolittle, “is the idea of lying and what it takes to maintain a lie. It’s that mounting desperation of Roger trying to keep a grasp on things that eventually undoes it all. Safer represents new territory for Doolittle. It’s his first hard-cover book. Delacorte’s pushing it hard. Odds are a novel by Doolittle, who’s earned praise from crime lit superstars, will eventually be a best seller. One’s sure to end up on the big screen, too. A major Hollywood agent who’s a huge fan shops his work around the studios. The author isn’t quitting his day job just yet but with each project, including the revenge novel he’s working on now, he’s closer to cleaning up. For the time being though he plays it safe. This will likely be my last word on the demise of the University of Nebraska at Omaha wrestling program in 2011. As some of you may know from reading this blog or from following other media reports on the story, the program did nothing to contribute to its demise. Quite the contrary, it did everything right and then some. UNO wrestling reached the pinnacle of NCAA Division II competition and maintained its unparalleled excellence year after year. Yet university officials disregarded all that and eliminated the program. The action caused quite an uproar but the decision stood, leaving head coach Mike Denney, his assistants, and the student-athletes adrift. In a stunning turn, Denney is more or less taking what’s left of the orphaned program, including a couple assistants and 10 or so wrestlers, and moving the program to Maryville University in St. Louis, Mo. The following story for the New Horizons is my take on what transpired and an appreciation for the remarkable legacy that Denney, his predecessor Don Benning, and all their assitants and wrestlers established at a university that then turned its back on their contributions. It’s a bittersweet story as Denney closes one chapter in his career and opens a new one. It is UNO’s loss and Maryville’s gain. UPDATE: By 2014, Denney had already made Maryville a national title contender. His team is ranked No. 1 in 2015-2016 and is the favorite to win this year’s D-II championship. The For Sale sign spoke volumes. Planted in the front yard of the home Mike and Bonnie Denney called their own for decades, it served as graphic reminder an Omaha icon was leaving town. The longtime University of Nebraska at Omaha wrestling coach and his wife of 42 years never expected to be moving. But that’s what happened in the wake of shocking events the past few months. Forced out at the school he devoted half his life to when UNO surprised everyone by dropping wrestling, he’s now taken a new opportunity far from home — as head coach at Maryville University in St. Louis, Mo. The sign outside his home, Denney said, reinforced “the finality of it.” That, along with cleaning out his office and seeing the mats he and his coaches and wrestlers sweated on and achieved greatness on, sold via e-Bay. It wasn’t supposed to end this way. Not for the golden wrestling program and its decorated coach. But this past spring the winningest program in UNO athletic history, fresh off capturing its third straight national championship and sixth in eight years, was unceremoniously disbanded. Denney’s teams won two-thirds of their duals, claimed seven national team championships, produced more than 100 All-Americans and dozens of individual national champions in his 32 years at the helm. At age 64, he was at the top of his game, and his program poised to continue its dominant run. A measure of how highly thought of Denney is in his profession is that InterMat named him Coach of the Year for 2011 over coaches from top Division I programs. In 2006 Amateur Wrestling News made him its Man of the Year. That same year Win Magazine tabbed him as Dan Gable Coach of the Year. Three times he’s been voted Division II Coach of the Year. He’s an inductee in both the Division II and UNO Athletic Halls of Fame. 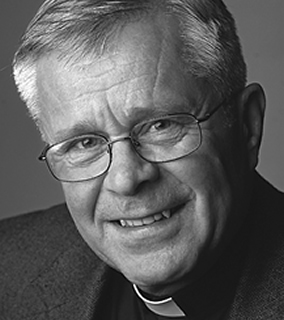 UNO awarded him its Chancellor’s Medal for his significant contributions to the university. Yet, when all was said and done, Denney and his program were deemed expendable. Suddenly, quite literally without warning, wrestling was shut down, the student-athletes left adrift and Denney’s coaching job terminated. All in the name of UNO’s it’s-just-business move to Division I and the Summit League. The story made national news. Response to the decision ranged from incredulity to disappointment to fury. To his credit, Denney never played the blame game, never went negative. But as print and television coverage documented in teary-eyed moments with his wrestlers, coaches and wife, it hurt, it hurt badly. “I suppose you’re bound to have a little anger and bitterness, but it’s more sadness,” he said. Nobody saw it coming. How could they? Wrestling, with its consistent excellence and stability, was the one constant in a topsy-turvy athletic department. 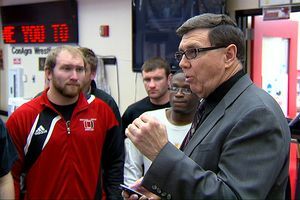 The decision by Chancellor John Christensen and Athletic Director Trev Alberts to end wrestling, and along with it, football, was inconceivable in the context of such unprecedented success. Unprecedented, too, was a university jettisoning the nation’s leading program and coach without a hint of scandal or mismanagement. No NCAA rules violations. No financial woes. It would have been as if University of Nebraska-Lincoln higher-ups pulled the plug on Husker football at the height of Tom Osborne’s reign of glory. An apples to oranges comparison? Perhaps, except the only difference between NU football and UNO wrestling is dollars and viewers. The Huskers generate millions in revenue by drawing immense stadium crowds and television audiences. The Mavericks broke even at best and drew only a tiny fraction of followers. Judging the programs solely by winning and losing over the last half-century, however, and UNO comes out on top, with eight national titles to NU’s five. Where UNO won minus sanctions, NU won amid numerous player run-ins with the law. Noted sports psychologist Jack Stark has said Denney’s high character makes him the best coach in any sport in Nebraska. “He has a unique way of treating everybody like they’re somebody,” said Ron Higdon, who wrestled and coached for Denney. “He physically found a way to touch every guy every day at practice — touch them on the shoulder, touch them on the head. I learned so much from him. I have such incredible respect for him. The influence Denney has on young men is reflected in the 60-plus former wrestlers of his who have entered the coaching profession. Denney created a dynasty the right way, but what’s sometimes forgotten is that its seeds were planted a decade earlier, by another rock-ribbed man of character, Don Benning. In 1963 Benning became the first African-American head coach at a predominantly white university when he took over the then-Omaha University Indian wrestling program. Having already made history with its coach, the program — competing then at the NAIA level — reached the peak of small college success by winning the 1970 national title. Once a UNO wrestler or wrestling coach, always one. So it was that Benning and some of the guys who wrestled for him attended the We Are One farewell to the program last spring. The UNO grappling family turned out in force for this requiem. In a show of solidarity and homage to a shared legacy lost. wrestlers from past and present took off their letter jackets, vowing never to wear them again. Benning said the event also gave him and his old wrestlers the opportunity to pay homage to what Denney and his wrestlers accomplished. Benning left after the 1971 season and the program, while still highly competitive, slipped into mediocrity until Denney arrived in 1979. For Denney, Benning set a benchmark he strove to reach. A farm-raised, Antelope County, Neb. native, Denney was a multi-sport star athlete in high school and at Dakota Wesleyan college. He played semi-pro football with the Omaha Mustangs. He became a black belt in judo and jujitsu, incorporating martial arts rituals and mantras into his coaching. For example, he called the UNO wrestling room the “dojo.” He has the calm, cool, command of the sensei master. He taught and coached at Omaha South and Omaha Bryan before joining the staff at UNO, where in addition to coaching he taught. With his John Wayne-esque swagger, wide open smile, genial temperament, yet steely resolve, Denney was the face of an often faceless UNO athletic department. In a revolving door of coaches and ADs, Duke, as friends call him, was always there, plodding away, the loyal subject faithfully attending to his duties. You could always count on him. He modeled his strong Christian beliefs. Under Denney UNO perennially contended for the national title and became THE elite program at the Division II level. 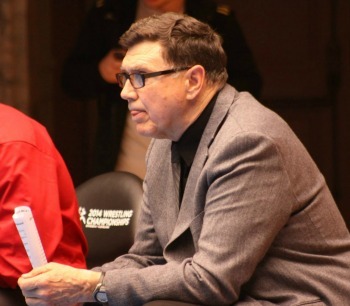 He led UNO in organizing and hosting the nation’s largest single-day college wrestling tournament, the Kaufman-Brand Open, and a handful of national championship tournaments. He was particularly fond of the Kaufman-Brand. With everything that’s happened, he hasn’t had much time to look back at his UNO career. Ask him what he’s proudest of and he doesn’t immediately talk about all the winning. Instead, it’s the people he impacted and the difference his teams made. His guys visiting hospitals or serving meals at homeless shelters. The youth tournament UNO held. The high school wrestling league it organized. The clinics he and his coaches gave. Then there was the annual retreat-boot camp where his wrestlers bonded. The extra mile he and his coaches and athletes went to help on campus or in the community. The Academic All-Americans UNO produced. All the coaches the program produced. Then, Denney gets around to the winning or more specifically to winning year in and year out. In its last season UNO wrestling went wire to wire No. 1. “Staying up there is the toughest thing,” said Denney. “People don’t realize how difficult what they did really is,” said Benning, who knows a thing or two about winning. “Whether it was on our terms or not, we went out on top. No one can ever take away what we accomplished,” said Ron Higdon. Highs and lows come with the territory in athletics. Win or lose, Mike and Bonnie Denney were surrogate parents to their “boys,” cultivating family bonds that went beyond the usual coach-player relationship. Parents to three children of their own, the couple form an unbreakable team. There’s been hard times. She survived a multiple sclerosis scare. They endured the deaths of UNO wrestlers Ryan Kaufman, R.J. Nebe and Jesse Greise. Next to all that, losing a program pales in comparison. That didn’t make it hurt any less. The coach and his boys didn’t go down without a fight, either. Denney, his assistants, his wrestlers and his boosters held rallies and lobbied university officials to reconsider, but they could not sway NU regents to reverse their decision. What cut deepest for Denney is that no one in a position of power took wrestling’s side. No decision-maker spoke up for the program. Two men Denney counted as friends, Christensen and Don Leahy, who hired Denney at UNO and whom Denney regarded as a father figure, were not in his corner when he needed them. It stings, but Denney’s refrained from name-calling or recrimination. Following the lead of their coach, UNO wrestlers took the high road, too. Just like he taught them. “We always talk about teaching and building …that we’re teachers and builders. Immediately when this went down, I thought, How can we use this? Well, it starts with the family-the team pulling together, supporting each other, picking each other up, and then modeling and displaying character under adversity. It’s easy to do it when everything’s going good. But things are going to happen in life. On the mat or in life, he demanded his guys show grit when tested. His boys didn’t let him down. But as hard as they were hit with their team and dream taken away, they were crushed. Naturally, in the aftermath, they looked to their coach for answers. Denney said, “They gave me this look like, ‘Fix this coach. '” Starting the very night the team got the heartbreaking news, right on through the regents sealing its fate, Denney kept his troops together. In the process, he tried to give his guys some hope. Denney admittedly walked a fine line between keeping things positive and offering false hope, but he wasn’t going to rest without exhausting every opportunity to maintain his program — whether it be at UNO or somewhere else. But it wasn’t only about staying upbeat. Even before the regents made it official and unanimously endorsed UNO’s decision to cut wrestling and football, Denney sent out feelers to other universities to try and find a new home for his program. Creighton University, it turned out, might have been able to add the program if the timing had been different, but as it was CU was in a budget cutting mode. There were also tentative discussions with Bellevue University and Benedictine (Kansas) College. Just when it appeared all might be lost, Maryville University approached Denney. After much soul-searching and many exploratory visits, now he, Bonnie, a couple assistant coaches and 10 former Maverick student-athletes, plus some new recruits, are taking what’s left of the UNO wrestling brand to inaugurate that small private school’s first entree into varsity wrestling. It’s the only time in NCAA history one university has essentially adopted another university’s athletic program. Thus, at a time when most couples their age prepare for retirement, the Denneys find themselves starting all over again, at a new school, in an unfamiliar city. Except, they have been made to feel so welcome and wanted there that they expect the transition to calling Maryville and St. Louis home will be easier than they ever imagined. Recently, the Denneys shared how the Maryville option came into focus and what it’s like to be moving onto this new, unexpected chapter in their lives. It all began with a phone call, which is ironic because once the news broke about UNO wrestling being cut, Denney’s office phone was so deluged with calls neither he nor the message system could keep up. He hardly ever caught a call. One day, he’d just finished meeting with his team, he said, “when I walked into my office and the phone was ringing and I thought, Well, at least i can get this one. So I picked it up and it was someone saying, ‘I”m Jeff Miller from Maryville University in St. Louis. I’m representing Maryville president Mark Lombardi. 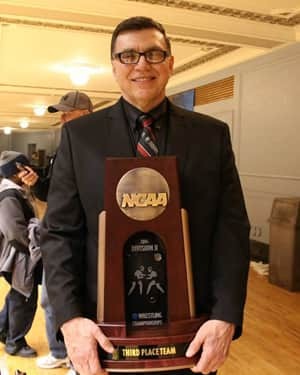 '” Miller told Denney that as part of Maryville moving from Division III to Division II it sought to add wrestling and saw UNO’s orphaned program as a ready-made fit. The more Miller, a Maryville vice president, laid out his university’s interest, the more convinced Denney became this was no joke. Miller came right out and said Maryville wanted not only Denney but as many of his coaches and student-athletes as he could bring to come there and start a wrestling program. The clincher, said Denney, was when Miller told him he was flying “up there” — to Omaha — to talk things over. The more Miller talked, the more Denney was convinced this was a one in a million chance come true to salvage a bad situation with something clear out of the blue. It soon became clear to Denney Maryville had done its due diligence. After the rejection at UNO, it felt nice to be appreciated again. In terms of facilities, Maryville can’t match UNO, at least right now. When the deal was struck with Denney, Maryville didn’t even have a wrestling room. A meeting room is being converted into one. By contrast, UNO had a state-of-the-art wrestling room built to Denney’s specifications and that he was justifiably proud of. Bonnie said what Maryville lacks in tangibles it makes up for with intangibles. Besides, it’s not so different from when Mike started at UNO. The facilities were so bad his first several years there he purposely avoided showing them to recruits. Over time, things improved. Bonnie sees the same thing happening at Maryville. “I think it will be kind of fun to see it grow and change,” she said. For a UNO wrestler or recruit to buy in to a start-up program in a new locale, “it took some imagination,” said Mike, to visualize what things will look like in the future. Committing to wrestling is a big thing for Maryville. First, the school already had a full complement of sports. Next, as a D-III school it offered no athletic scholarships and its coaches were part time. Now, in D-II, it’s granting partial scholarships to student-athletes and its coaches are closer to full-time. Besides, he said, an athletic program can be a revenue producer simply via the out-of-state tuition it generates. Still, Denney said he wasn’t prepared to accept Maryville’s offer unless Bonnie wholeheartedly agreed to the move. Bonnie knew Mike wanted it, but everything was happening so fast she wanted to make sure it was the right thing to do. Denney liked the idea of playing the Pied Piper, but first he needed assurance enough of his guys were willing to follow him there to make it worthwhile. “I kept telling Jeff (Miller), ‘We’re willing to go, we’re willing to do this thing, we feel like we’re called to do that. But I’m not going to do it if it’s just my wife and I. I’m not doing it just for us.’ I mean, really, we could just ride off into the sunset. We could make it. There’s a lot of things I could do, and we got offered some things to do, but none that I felt called to do. His passion to teach and build good people still burns bright, however. “He’s no where ready to retire,” said Bonnie, adding he outworks assistants half or a third his age. The Pied Piper next had to re-recruit his own wrestlers and their parents, or as many as he could, to make this leap of faith with him. “We kind of sold them on it,” he said. “I kept saying, ‘We want to start another fire, but we need some logs.’ I had to sense our guys wanted to help start the fire. I don’t know if you call it an obligation, but I want us to do well. They’ve been so good to us. I want us to make an impact on campus. Denney led several UNO contingents to visit Maryville, whose officials always took time to express how much they wanted them there. Many factors went into determining whether it made sense or not for a UNO student-athlete to take the plunge. For example, geography. St. Louis would put some athletes an even longer distance from home and family. Too far in some cases. Then the academics had to mesh. One of UNO’s best returning wrestlers, Esai Dominguez, decided to bypass his final year of eligibility in order to remain at UNO and finish his engineering degree. And then there was cost. Maryville tuition is higher than UNO’s. Transplanting the program is historic and given how stringent NCAA rules are, Denney said, “we’re starting to figure out why” it hadn’t been done before. UNO officials worked closely with their Maryville counterparts to make it work. While Denney tried retaining as much of his wrestling family as possible, “the vultures” — recruiters from other programs — circled about, pouncing on UNO strays who were uncommitted or undecided. He finally had to release his wrestlers to talk to other schools and to make visits. Some of his best returnees left for other programs. Most of his assistant coaches couldn’t justify the move either between career and family considerations. In the end, Denney’s brought fewer with him than he would have liked, having to say goodbye to about two-thirds of his former team. Still, he’s brought with him a a stable of wrestlers and coaches who have competed at and won at the highest levels. It’s a transformational infusion of talent, attitude, standard and expectation at a school whose teams have mostly endured losing seasons. Denney expects to win right away but is enough of a realist to say, “We’re back into a building process here.” It took years to build UNO into D-II’s preeminent program and it won’t be done overnight at Maryville. He leaves no doubt though he’s committed to making the Maryville Saints wrestling program an elite one. And he seems to be giving himself eight years to do it, saying he’s always envisioned coaching and teaching 100 semesters or 50 years (high school and college combined), a figure he would reach at age 72. Beyond that, nothing’s for sure. Make no mistake about it, Denney’s heart still aches over how UNO did him and his program in, but he has moved on. He does, however, offer a cautionary note for those who so cavalierly discarded the legacy of UNO wrestling. “If you lose your history and tradition, I think you lose something that’s so vital to your organization,” he said. “You must keep it, you must do everything you can to keep it. You’re going to see the long term effects of this later on. That culture won’t last.